If you love activity as much as I do, chances are you’ve had to battle your fair share of pain or injury. I’m not only talking about the blown-out knees, dislocated shoulders and all the cringe-worthy stories – I’m also talking about if you have any kind of pain, too. Sore knees for no reason, shoulders that cannot reach overhead, backs that do not bend, plantar fasciitis, and the other minor aches and pains that so many assume is their new norm. “I’m just getting old”, “it must be about to rain”, and “oh, I’m used to that” are the most common phrases regarding aches and pains. Yes, you may not be getting any younger and yes, your body’s cartilage, bone, tendons and ligaments (which can be prevented by proper exercise, but that can come in another article) wear down, but more often than not, these pains may be remedied and occasionally healed through proper exercise habits. 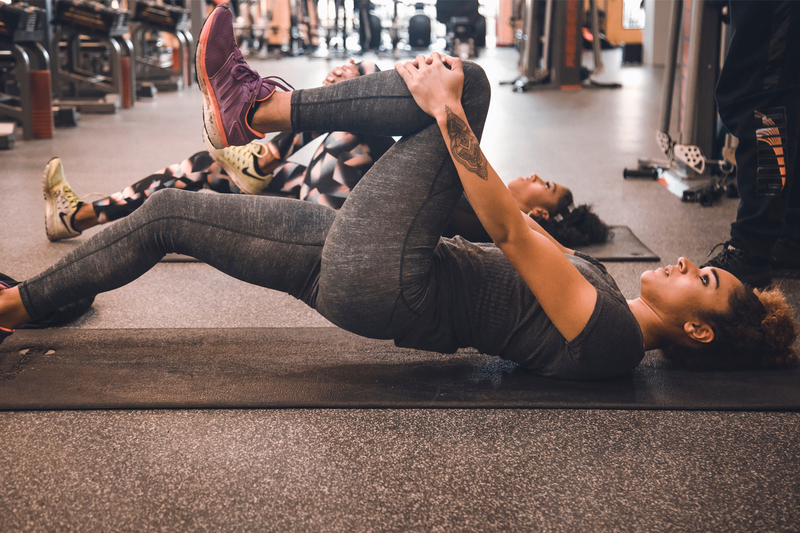 If you’ve experienced ANY type of ache, pain or injury, especially while exercising, here are 5 things you need to know about fitness, injuries and training for pain management and injury prevention. Before we delve into the 5 things I’ve learned from injuries, I want to tell you a bit about my journey. In college, I was on the club rugby team. I thought I had trained properly for the sport: squat, push, pull, cardio, repeat, repeat, repeat – but I was wrong. Three months into the season I suffered a non-contact injury attempting to plant and cut off my right leg. My knee joint dislocated, and as I was falling to the ground, I saw my knee out to the side at about a 30-degree angle. Luckily, as I hit the ground, the impact forced my knee to pop back into place. I had suffered a complete ACL tear, grade 2 MCL tear, lateral meniscus tear, and a micro-fracture. Surgery and 6 months of physical therapy were required before I could return to my normal activity level. Three months out of physical therapy, I was back to lifting heavy (with an ego not in check) and decided to go for a personal record on squats. Well, I ended up herniating my L4-L5 due to compensation patterns and poor muscle activation. I saw three different experts in the physical therapy field with different niches, and they all told me that I should never squat again. A personal trainer who doesn’t squat? Have you ever seen a dog that doesn’t want a treat? So here I started my true rehabilitation journey in order to reform my body, re-teach my mind, and uncover many simple yet effective ideas to training with injuries. Here are the top 5 things this educational process taught me. #1: Your body is completely connected, your site of pain or injury may not be where you think it is. This picture is called tensegrity unit. If you pull one of the sticks, the ropes and sticks throughout the rest of the unit will compensate to allow that movement. That is how your body functions. Your body is comprised of muscle which moves your skeleton through interactions with nerves, tendons, ligaments, fascia, and even scars. A chest press is not just for your pecs; it actually incorporates your entire body. Your shoulders have to protract and retract, your lats have to stabilize, your core has to brace, your legs have to become your base, and your spine is the centerpiece around which all of this moves. If you’ve ever seen a power lifter execute a bench press, his back is arched and his feet are tucked. This generates more power. Just the other day, I was working with a client who had right shoulder and lower back issues. After some movement prep with his glutes and hamstrings, we performed a bent-over barbell row. After his first set he said, “Wow. That felt completely different in my shoulder, it felt like I was keeping it down.” It was fantastic because we didn’t have to do anything to his shoulder. We simply warmed-up, activated, and practiced proper posterior chain activation, and his shoulder worked properly. Dr. Perry Nickelston, a world-renowned chiropractor, says “If you tell me your foot hurts, I’m going to check your opposite shoulder.” I’ll save you the boring sciency stuff, if you remember Newton’s Third Law: every action has an equal and opposite reaction. When you move one part of your body, stuff everywhere moves. My lower back injury was a combination of poor mid-spine mobility, weak glutes and tight hip flexors. My lower back wasn’t the problem; it was everything surrounding my lower back. My lower back was the area that had to support the weight of the squat because my other body parts couldn’t. This takes me to my second epiphany. #2: Muscle imbalances are usually the cause of pain. What is a muscle imbalance? Muscles work in synergistic pairs: an agonist and antagonist. One muscle contracts while the other relaxes. These muscles then run up the kinetic chain and down the kinetic chain and attach around joints. Let’s use the biceps and triceps as an example. The biceps run along the front of your arm and attach to the front of your shoulder, while the triceps run along the back of your arm and mainly attach to the back of your shoulder. 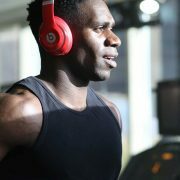 If you consistently train your biceps more than your triceps, over time, your shoulder will be slightly pulled forward. This will pull your shoulder joint ever so slightly off center, and uneven wear and tear will gradually occur. Tendons will be rubbed the wrong way (tendonitis), cartilage will be worn down unevenly (arthritis), and bone may grow inconsistently (bone spurs). Each of these comes along with one common symptom – pain. Related: have a muscle imbalance (or need to find out if you do?) Here’s how Pilates can help! Pain is a warning sign your brain creates to alert you to potential danger. It’s like a carbon monoxide alarm; it calls you to action to prevent permanent damage. There are different types of pain and different severities of pain. Dr. Ida Rolf, the creator of “Rolfing” (a very intense soft tissue therapy), coined the phrase “Where you think it is, it ain’t.” She is referring to pain and the theory that pain shows itself in the weakest part of your kinetic chain. Let’s quickly go back to a “misaligned” shoulder. Say it is off about 2 millimeters. Those 2mm, running down the chain into the elbow, create an elbow that is >2mm off ideal alignment. That elbow then runs down into the wrist which will be even more out of alignment than the elbow. It’s a chain reaction. The body is incredible, though, and will find a way to compensate. It may compensate just fine, and you’ll never have pain, or it might give you pain in your elbow. If you treat only your elbow, and never address the imbalance of your shoulder, you will never get to the root of the problem. Imbalances are tough to spot to the untrained eye, so never hesitate to ask a professional for an evaluation. #3: You might be injured because you forgot how to use a body part. It’s a weird feeling, isn’t it? Your big toe is actually extremely important for balance, walking and sensory perception – it isn’t useless, I promise! I actually cured myself of plantar fasciitis from exercising my toes, foot and ankle every night for 20 minutes while watching TV. Simply remembering how to move my foot saved me the hours and dollars of going to a physical therapist and being prescribed an orthotic. Ok, back to my point of moving your body parts. Every single joint in your body is made to move in three dimensions. Forward, sideways and in rotation. Think of your exercise routine. Do you move in all three dimensions? Most people move forward, forward, and forward. You get really good at moving in a straight line, but what happens if you have to zig-zag, move sideways or twist? Sounds like an imbalance problem! If you’re not moving in three dimensions, over time your brain begins to forget what it’s like to move your body or joints in all directions. These forgotten directions become “movement dark areas” to your nervous system. It would be like standing in a dark room with a flashlight instead of a lantern and trying to see everything at once. These dark areas are unfamiliar to your nervous system and therefore risky. Let’s take a 35-year-old businesswoman who joins a volleyball league as an example. For the last 10 years, her typical days have been work, treadmill, machine resistance workouts, and bed. She is in fantastic shape by normal standards. However, her movement areas are very bright forward, but a little shady and dark everywhere else. In the heat of her volleyball game she has to shuffle sideways, twist and instinctively dive to get to the ball. She just went full-steam ahead into her dark movement area, a place her body hasn’t been trained in since she played volleyball in high-school. Hopefully nothing bad happens, but as she fatigues, things get riskier. Incidents could range from a sore knee or shoulder that sidelines her for two weeks or a more drastic case, like a torn ACL. However, these types of bad things were preventable in the first place, wouldn’t you work on preventing them? I mean, the majority of us exercise to stay healthy, right? 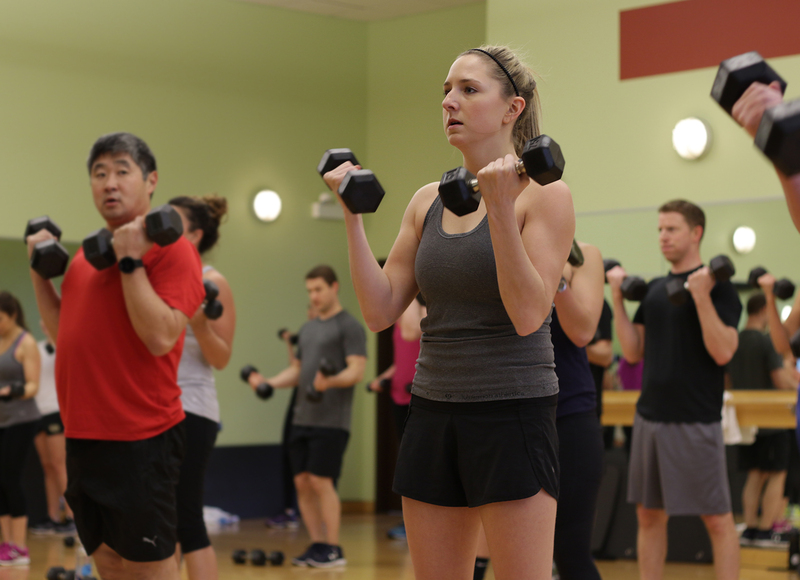 Related: sign up here for a free personal training session at FFC! #4: Learning to create and control tension makes your body bulletproof. I want you to make a fist. Now squeeze that fist at 20% of your strongest effort. Now go up to 40%. Now 70%. Now 100% with everything you’ve got. Let’s switch hands. This time I want you to focus on what muscles you feel working. Squeeze at 20%, where do you feel the force? Squeeze at 40%, does that feel slightly different? Now, squeeze at 70%. You should feel this all the way up and past your elbow. Now squeeze with everything you’ve got! Like you’re trying to squeeze water out of a rock. Where do you feel this? It runs all the way up your arm, into your shoulder, and even radiates into your chest, back and abdomen. This is how you should create tension EVERY TIME you strength train. There are two parts to every weight bearing move, the eccentric phase (muscle contracting as it is lengthening) and concentric phase (muscle contracting as it is shortening). The eccentric portion is usually the part where the weight is being lowered. The descent on a squat, the bar lowering to your chest on a bench press, and your body returning to the floor on a pull-up. This is also the time 75% of us forget to control tension. It’s much easier to let gravity do the work than do it ourselves. However, strength and injury prevention live in the eccentric phase. In fact, the majority of hamstring injuries during running/athletic events are during the eccentric phase. Once you learn to create and control tension throughout every part of an exercise, I guarantee your coordination, strength, muscle growth, injury prevention and body awareness will shoot through the roof. Try this next time you work out, and you will immediately feel the difference! #5: Work WITH your injury, do NOT avoid training. Aside from surgery or a doctor’s order, don’t let your exercise routine be ruined by an injury. We all know how great it feels to be consistent with a program and see results, and we want to keep that momentum going! Work out the other parts of your body that are perfectly fine, and remember the Golden Rule: if it hurts, don’t do it! The best thing you can do is to work on your injury during your rest period. If you have a shoulder injury, between sets of squats try some light rotation work, or some easy isometrics. If you have a knee injury, you most likely can exercise your hamstrings and glutes with certain exercises. Remember how sites of pain can be caused by areas of weakness within the kinetic chain? I’d bet that your knee pain is being caused by improperly functioning hips, unless an acute injury occurred. Remember, movement is medicine with anti-inflammatory properties and pain relieving properties. Don’t give up – nothing was ever acheived by giving up. Work around and WITH your injury. Post written by FFC West Loop Personal Trainer Collin Cusack. Collin is a Functional Range Conditioning and Primal Movement Chains-certified master trainer and movement specialist at FFC West Loop. He specializes in areas of post-rehabilitation, stretching, functional training, high intensity interval training, golf, basketball and core training, among other areas. Have a question about an injury or movement-specific training, or want to set up a complimentary consultation? Email Collin at ccusack@ffc.com! 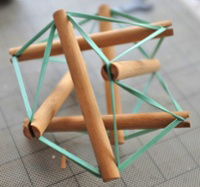 Tensegrity unit image courtesy of Rainy Day Magazine.